I'm building my own NAS. 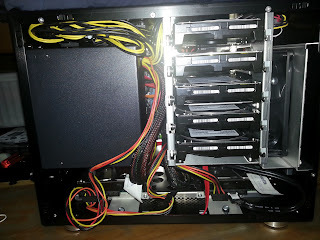 A off-the-shelf NAS that has more than 4bays is pretty expensive, so I would rather build my own. To keep things cheap and flexible, I'll be installing Linux, and using software RAID. I didn't want to build one that is too big, so I opted for the PC-Q25 which is a ITX case. It can take in 7 3.5" drives and 1 2.5" drive, and has 2 case fans. The power draw required would probably be low. I'm wary of cheap PSU, while the Silverstone 400W might be a wee bit overkill. 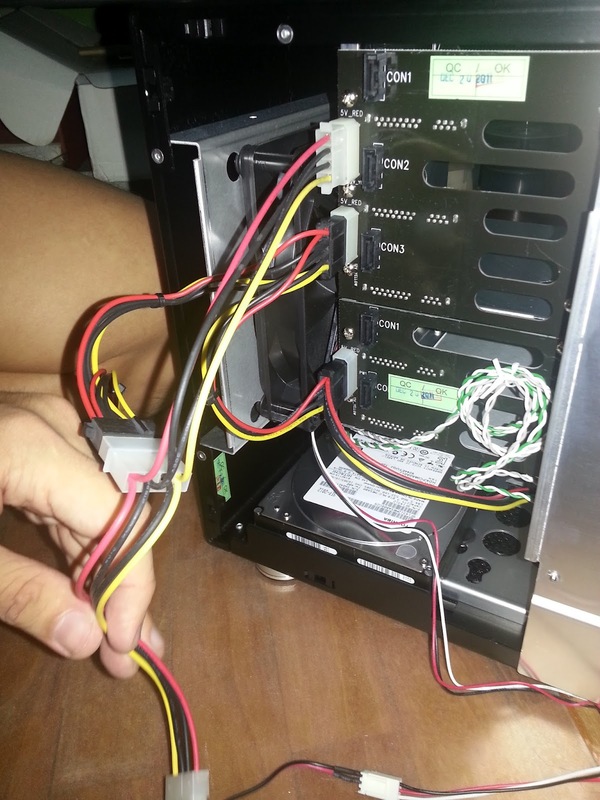 It has 3 4-pin molex and 4 SATA power pinout. 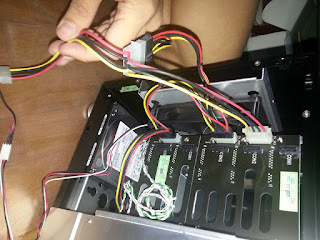 I had to use the 4-pin molex splitter for the case fan -- the motherboard only has a single connection for the case fan, while the casing takes in 3 4-pin molex for the 4 drives. The PSU has 3 4-pin molex. Needed to use a splitter. The processor doesn't need to be that powerful, core i3 ought to be enough. The motherboard I chose has 6 SATA ports. Most ITX boards have only 4 or 5 ports. 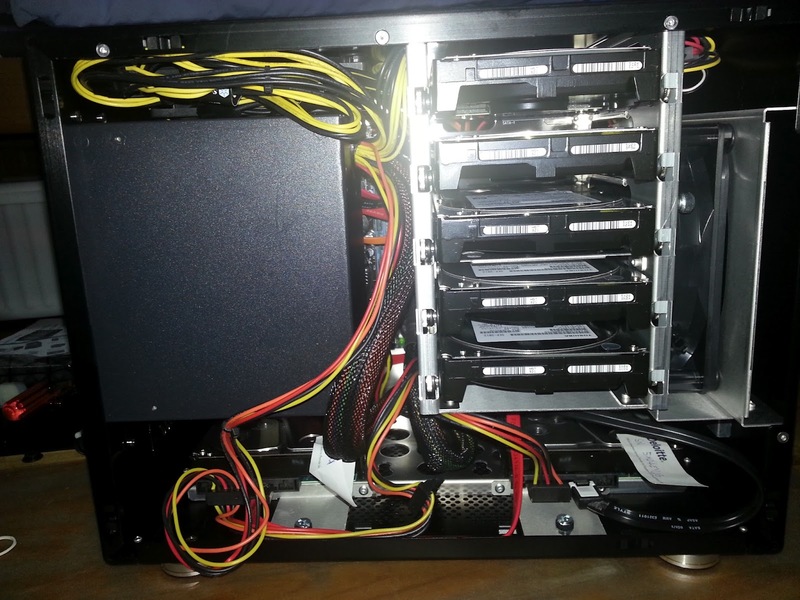 I wanted to max out the case, so I have added a PCIe SATA expansion card. I didn't need an expensive card that supported other features since I'll be running software RAID. After I installed Ubuntu 12.04, I did receive DRDY messages. Probably due to the NCQ errors for drives that were connected through the card. Didn't get the messages after I added GRUB_CMDLINE_LINUX_DEFAULT="libata.force=1:noncq libata.force=2:noncq" to /etc/defaults/grub. I will elaborate more on this in my next post. Initially I wanted to use a USB thumbdrive as the boot/root drive (for the OS), but it turned out to be unstable (sometimes I couldn't boot into it, sometimes it just loads and stops there). In the end I've gotten a 2.5" WD Black instead. 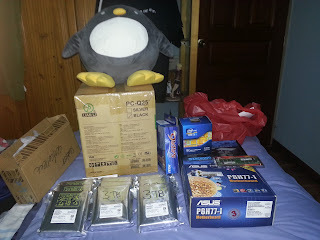 Ok, the hardware is set up, my next post(s) will be on setting up the software (Ubuntu 12.04LTS and other stuff).